How do criminal defense attorneys prepare for trial? You’ve probably seen the image hundreds of times in fiction or true crime stories: the defense attorney passionately fighting for his or her client in the courtroom, giving opening and closing statements, cross-examining witnesses, and persuading the jury. Yet most people never see the vast amounts of behind-the-scenes work that criminal defense attorneys put into preparing for trial. While a confident and impassioned courtroom presence is undoubtedly important, lawyers who succeed at trial also require a solid foundation of thorough trial preparation that takes place weeks and months before ever stepping foot into the courtroom. While every case is unique and circumstances can vary quite a bit, below are just a few common elements of a defense attorney’s trial preparation. What is a trial and when does one take place? A trial is a formal legal proceeding where the facts of a case are presented to a judge (in a bench trial) or a jury of one’s peers (in a jury trial) to determine whether a defendant is found to be guilty or not guilty of a certain offense. For a variety of reasons, the majority of criminal cases in Ohio never go to trial. In many instances, a defense attorney is able to negotiate a favorable plea deal with the prosecutor, resulting in a defendant pleading guilty, often in exchange for a more lenient or lesser charge. 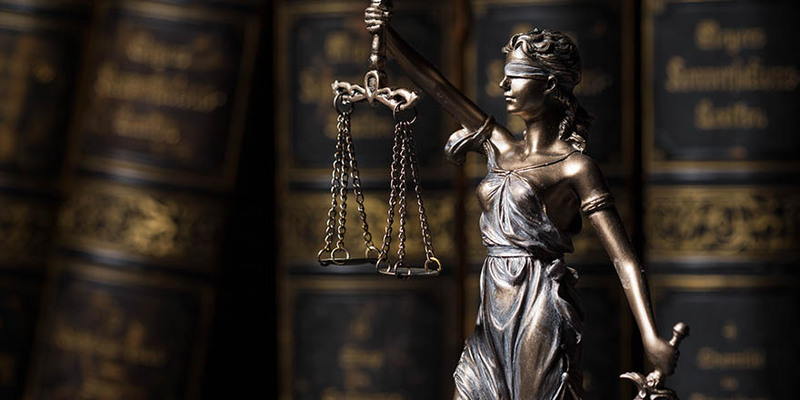 Other cases are resolved during the pre-trial process; for example, a defense lawyer can file a “motion to suppress evidence” or a “motion to dismiss charges” that can greatly benefit a defendant and perhaps prevent a case from going to trial. If plea bargaining fails and the defendant does not wish to plead guilty, and a judge concludes that there is probable cause to believe a crime was committed, a trial will be scheduled. Open and collaborative communication with his or her client to obtain a thorough personal and criminal history and to ascertain the client’s mental capacity/state of mind, timeline of the crime, and relationship with the victim. Thanks to attorney-client privilege, anything shared with one’s defense attorney is completely confidential. A process known as “discovery” that promotes fairness in trials, whereby the defense receives all the evidence that the prosecution has, including the charging document, police reports, lab tests, and witness statements. Defense attorneys scrutinize these documents with great care to assess the state’s evidence and look for holes that may help the defense or point to wrongdoing on the part of law enforcement while gathering evidence (e.g., illegal search and seizure, etc.). Independent investigation to gather new evidence and verify the facts of the case. Good defense attorneys will not simply take the prosecutor’s version of events at face value, but instead will conduct their own research, including but not limited to: interviewing witnesses to determine their credibility; visiting the scene of the crime; and exploring any inconsistencies in the state’s evidence. Next, a defense attorney will analyze the collected facts of the case and create a “theory of defense” that encapsulates his or her client’s version of the story and answers any questions or doubts the prosecution will likely raise at trial. The best criminal defense lawyers utilize a team approach when developing a theory of defense; brainstorming and thinking outside the box alongside other expert attorneys leads to the most effective and innovative defense strategies. Expert Witnesses: In many cases in Ohio and elsewhere, attorneys will engage expert witnesses to help investigate a case and testify on their client’s behalf at trial. A seasoned trial attorney will locate and engage experts at the top of their respective fields, such as forensic scientists, psychologists, medical doctors, and lab technicians. Trial Consultants: Oftentimes a defense team will also engage one or more trial consultants who may have a background in a field such as clinical psychology, the social sciences, law, communications, or law enforcement. The role of such consultants varies by case, but can include assisting with developing a defense strategy, creating presentations for use at trial, and advising on sentencing recommendations. Jury Consultants: A jury consultant specializes in helping attorneys select the optimal jury for hearing their case. While attorneys are not allowed to exclude potential jurors based on factors such as age, gender, or race, both the prosecution and the defense aim to weed out those with potential biases and keep those who may be sympathetic to their arguments. A jury consultant can help the defense team determine what type of juror could help or hinder their case at trial. So what does all mean for you as an average citizen? Being aware of the importance of pre-trial preparation will come in handy should you ever find yourself in a scenario heading toward a trial. If you need to hire a criminal defense attorney, you will know to seek out the very best counsel: someone who keeps you informed every step of the way, conducts independent investigations, and works collaboratively both inside and outside of his team to formulate the very best defense. Aligning yourself with a well prepared and passionate attorney could very well mean the difference between acquittal and conviction.